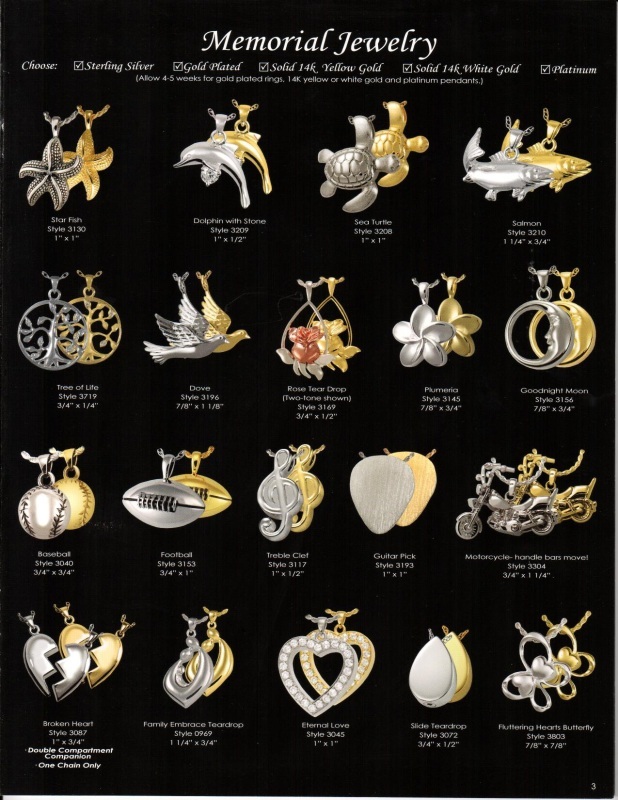 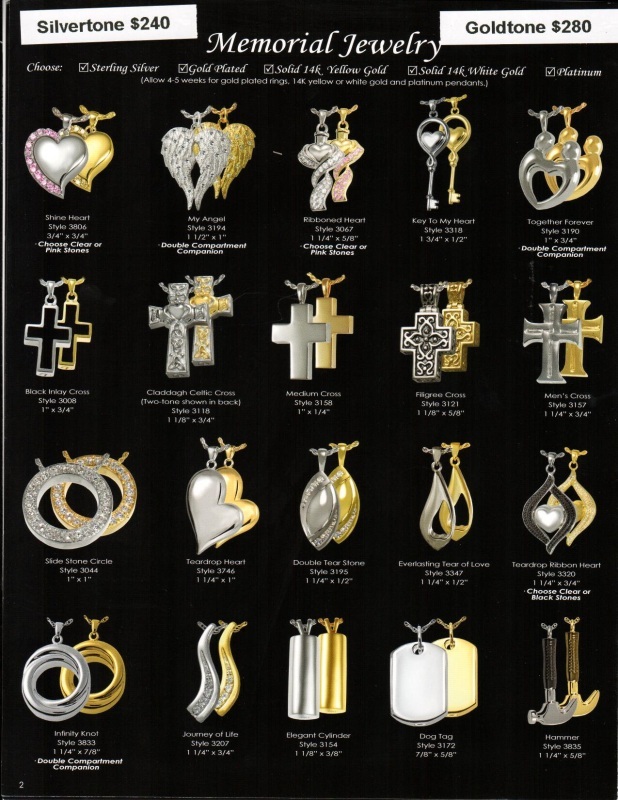 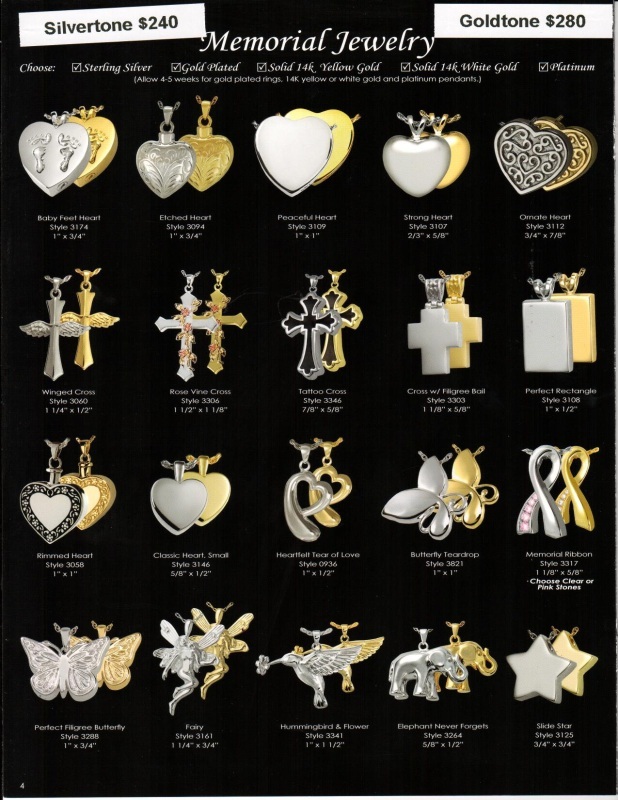 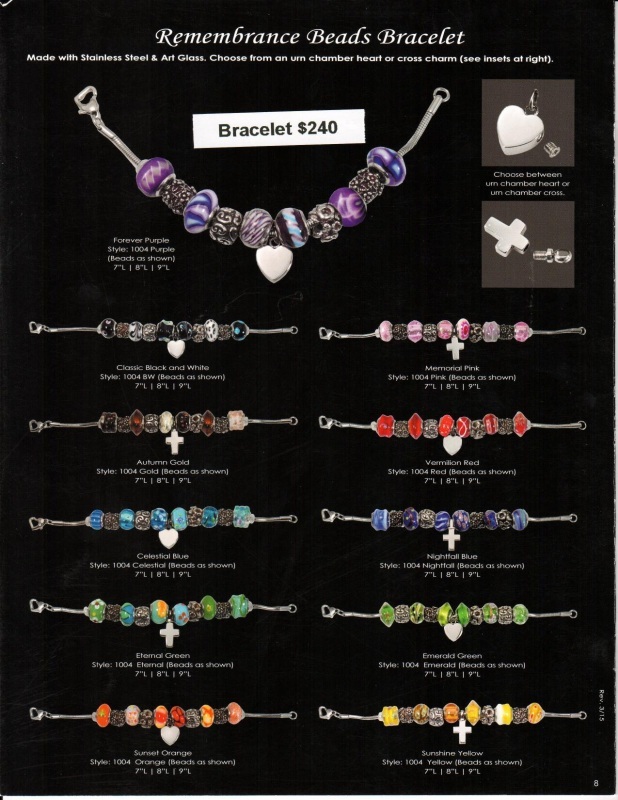 Our Wilbert Memorial Jewelry Catalog offers a wide variety of keepsake jewelry, as well as personalized jewelry. 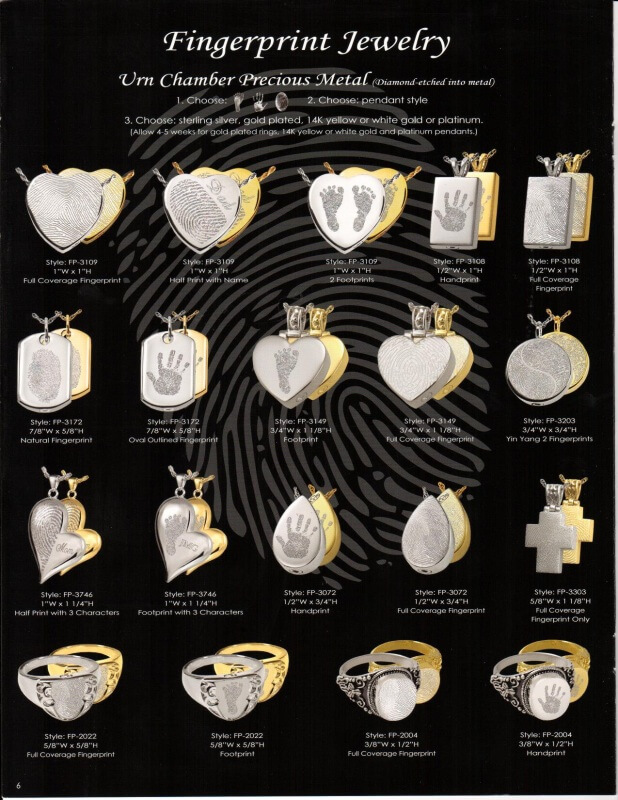 All of the Memorial Jewelry holds a small amount of cremated remains of the loved one. 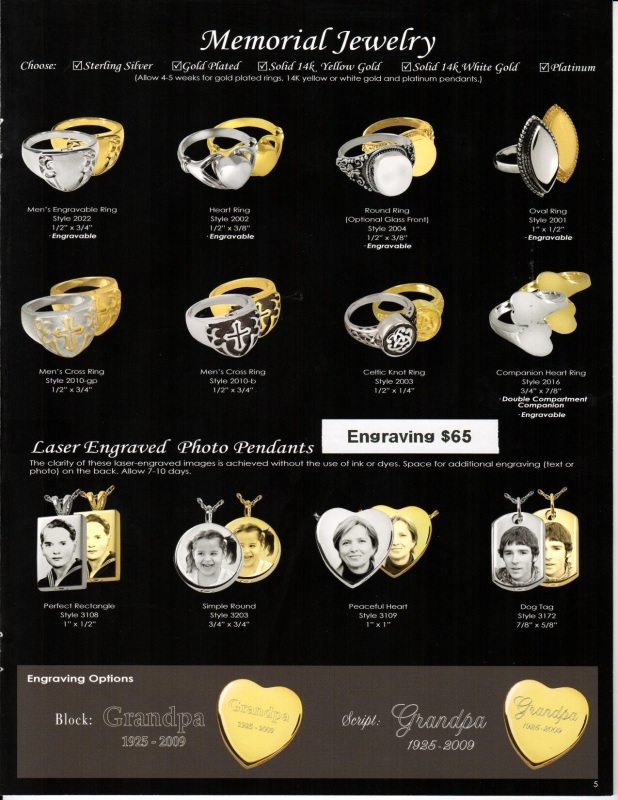 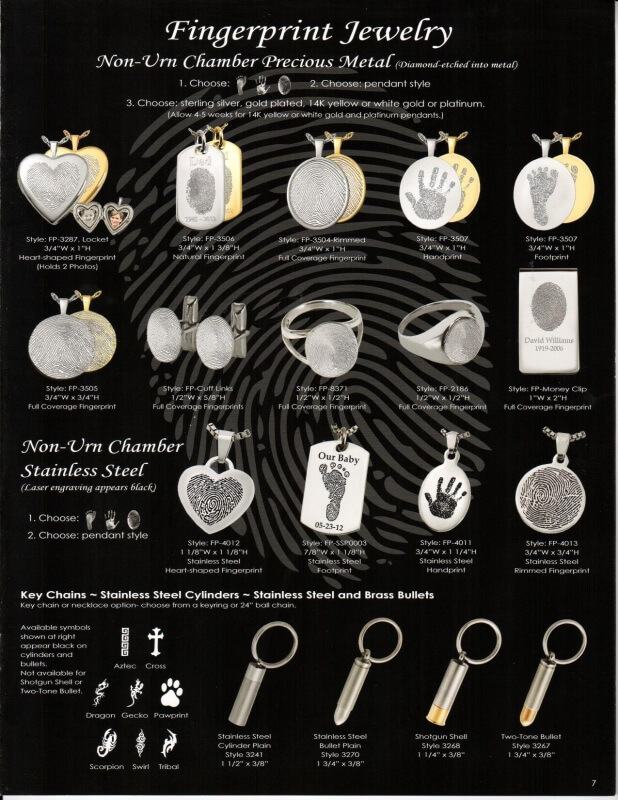 Their personalized jewelry offer the option of an urn chamber or non-urn chamber jewelry that can be personalized with a finger or hand print engraving for an additional charge.